Better Buys for Business Recognizes the Konica Bizhub 7155's High-Volume Products with 'Editor's Choice' Awards in Annual Buyer's Guide. 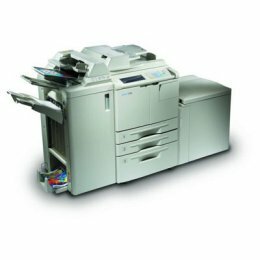 The Konica Bizhub 7155 makes the process of producing documents as simple as it should be. And it does it in virtually any network environment. Whether it's a workgroup LAN, distributed mainframe, or data center print environment, the Konica Bizhub 7155 turns out multiple sets of finished documents on demand.